As soon as you arrive in Venice you will immediately realize how this city, unlike the others, throw you into a world without cars, smog and great roads. Here, losing yourself among the calli (the name of the Venetian streets) run along the canals and bridges, you will feel like you are absorbed in a parallel world, where industrialization leaves room for peace of mind. 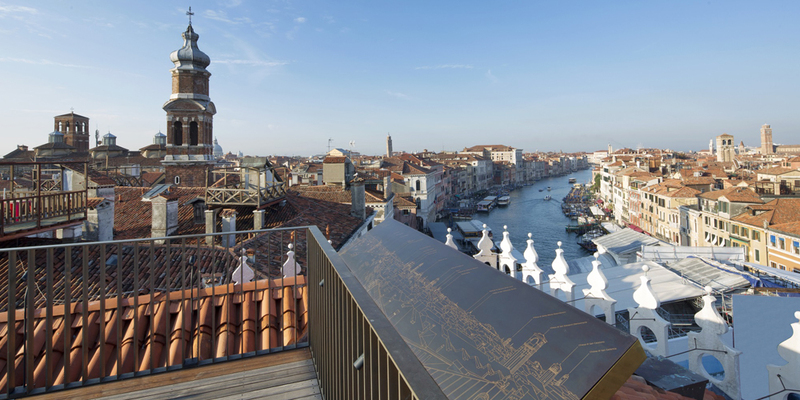 Once you reach Fondaco dei Tedeschi, we suggest you climb up the panoramic terrace and enjoy the 360° view of the Grand Canal. 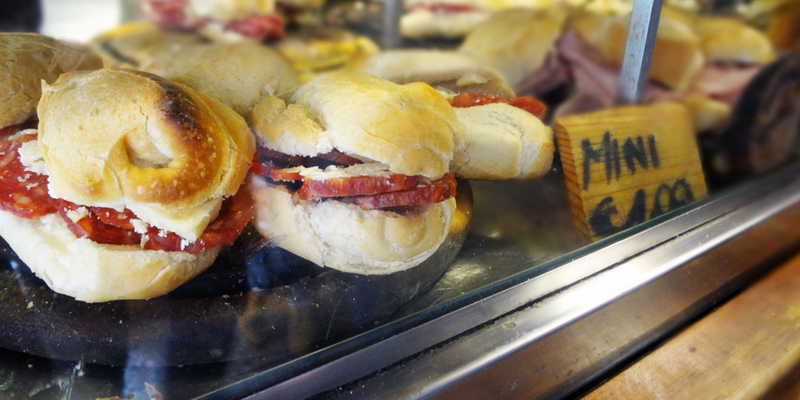 The 15 minute visit is free, but given the large number of tourists you are asked to book online the time you prefer. Venice is always beautiful, but we suggest you to climb up at sunset, to enjoy the view away from the crowds of tourists. 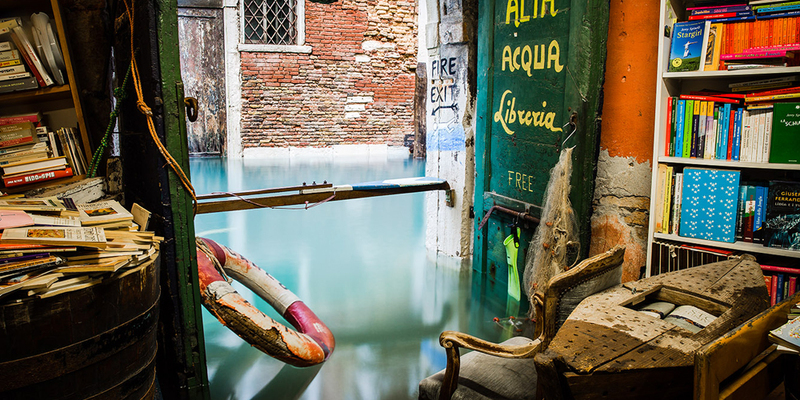 One of the most beautiful bookshop in the world is in Venice, Libreria Acqua Alta was designed to protect books from the risk of getting wet during the flood of canals. In this bookshop you can find books inside gondola, old boats or even bathtubs. In Italy homemade gelato can never be absent, especially in a city like Venice where every day thousands of people walk for hours. 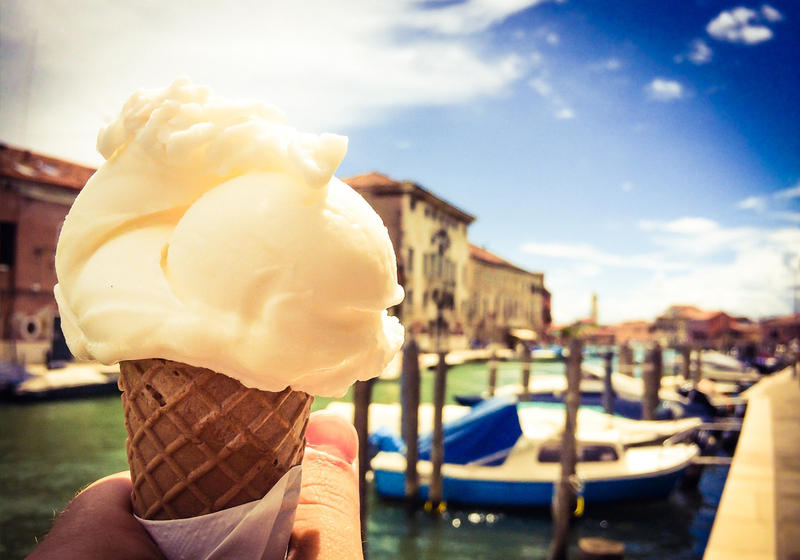 In Venice you can find one of the best homemade ice creams of Italy, and you can even also eat the cup, as it is made of waffle like the cones. A scoop isn’t cheap, but the price is justified by the quality of the ice cream parlours in Venice.